We took a walk on the wild side last week during an interlude at the San Diego Zoo Safari Park, once called the Wild Animal Park, and this week we discovered a wild animal den in our own back yard. While Larry was relocating and grooming our bromeliads, our corgi, Tasha, approached a plant bed where she was greeted and frightened by a loud hiss. 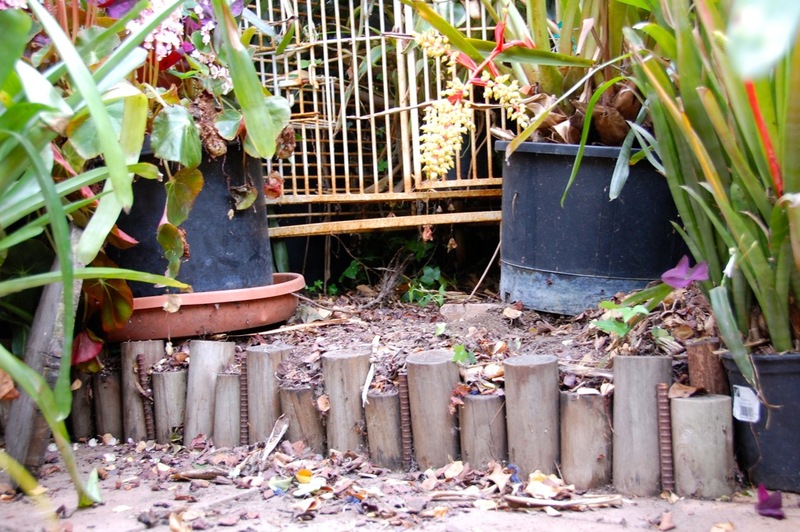 After securing our dogs, he removed a potted plant exposing an open area under our outdoor white birdcage, which is situated against an ivy hedge. 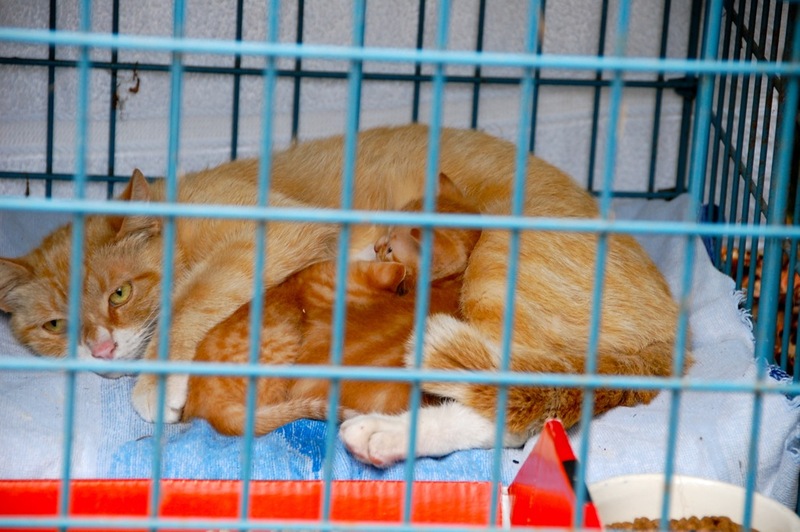 An orange tabby feral mother cat with her two nursing kittens, about 4 weeks old, had made this dark and secluded lair their home. A feral cat is a descendant of a domestic cat that has returned to the wild, and most neighborhoods have them, including ours. 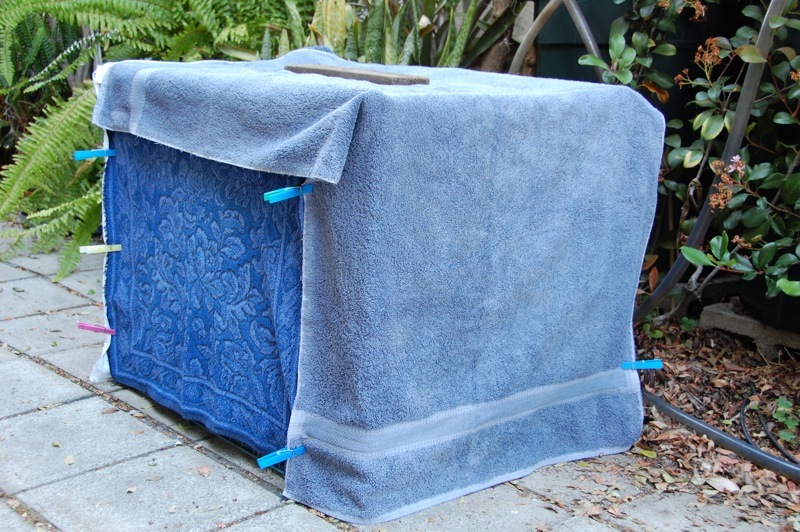 We’ve grown accustomed to them and believe they help control rats, but in this case, a den in our enclosed back yard is disruptive for our dogs, and we felt a responsibility for the kittens and mother. So I rounded up our live animal cage trap (our local County Animal Shelter also loans traps for a $50 deposit) and Larry prepared a larger cage for temporary housing. 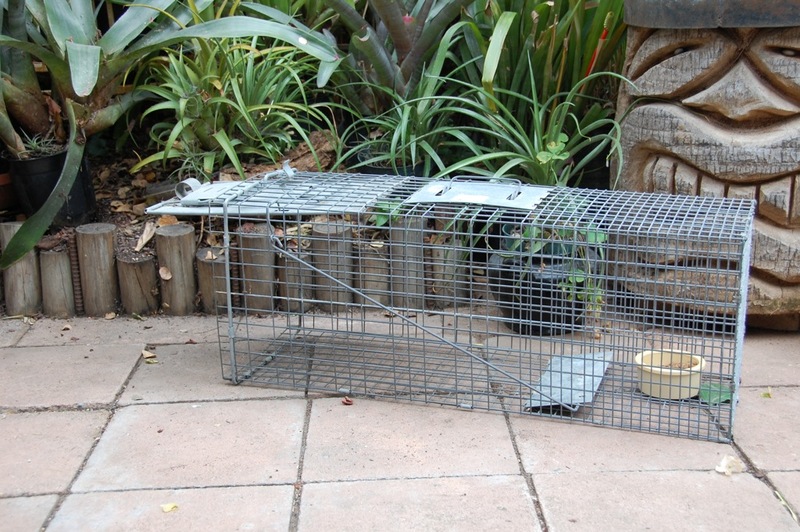 The trap was baited and placed by the den. Early the next morning, we found the mother in the trap. There was no time to take pictures, as we worked quickly to retrieve the nearby kittens with a reacher grabber and place them in the prepared larger cage. We moved this cage to a secluded side yard and transferred the mother in to rejoin her kittens. Our plan was to transfer them to the San Diego County Animal Shelter, but since the cats were caught on a Monday (the shelter is closed on Mondays) and I work Mondays and Tuesdays, we provided them with food, water, a litter box, and comfortable foam bedding and shelter for the next two nights. The cage was partially covered with towels during the day and completely at night. They adjusted well and each morning we could see that the mother was caring for and nursing her kittens with blue eyes. We learned that kittens’ eyes are blue until about 6-7 weeks old. They need to be with their mother for 8 weeks before being separated. Frequent handling by people is needed from now up to 7 weeks to ensure that they do not become feral. If we had not caught the mother, the foster kittens would have been taken to the Humane Society and fed by volunteers. Yesterday, we loaded this cage into our F-250 truck and delivered the cats to the Animal Shelter, which will determine the health of the kittens and when to separate them from their mother. According to the Humane Society of the United States, there is a severe feral cat overpopulation crisis in the United States today. 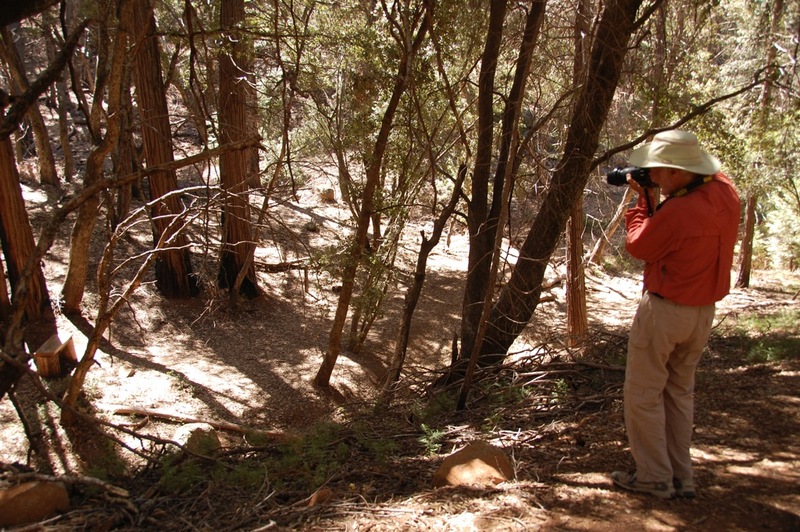 Josh Hirschmiller says in the KPBS These Days interview, “What Can Be Done To Reduce Feral Cat Population?“, that there is an estimated million or more feral cats in San Diego County. 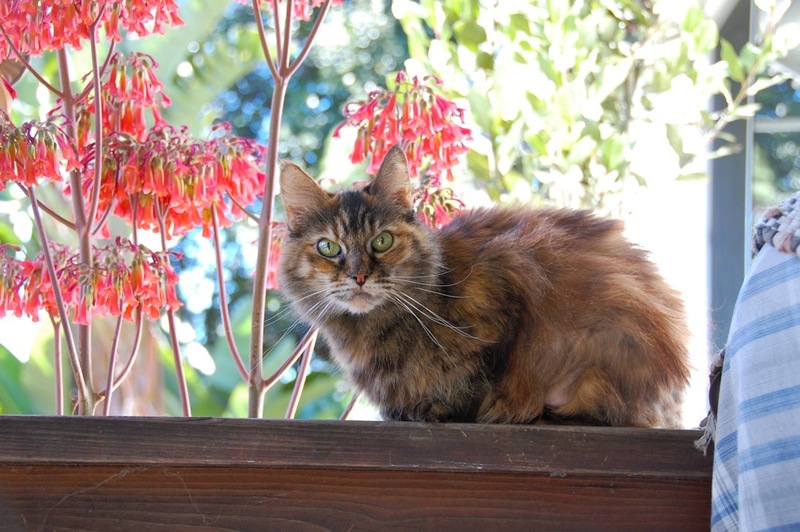 The Humane Society suggests, “The best approach involves sterilizing cats, conducting robust TNR programs [Trap-Neuter-Return], support for innovative cat programs through shelters and rescues, and educating owners on how keeping cats indoors is valuable for both cats and wildlife.” The Feral Cat Coalition in San Diego has a free TNR program. See how TNR programs improve the lives of feral cats, while reducing their numbers in this Humane Society YouTube video: “Life On The Streets: The feral Cat Crisis“. “I’m Tigger, and I approve this post and message,” says my neutered (and once feral) cat! 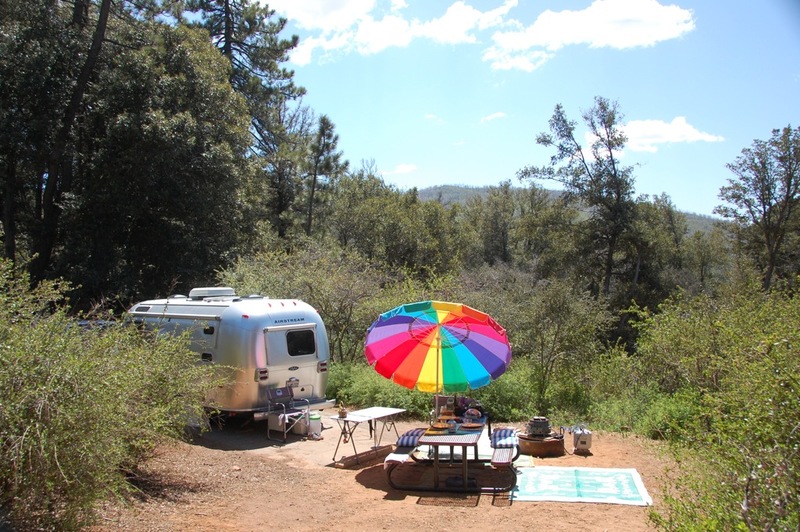 Our Airstream Safari descended 4,000 feet from our campsite in the Cuyamaca Mountains and enjoyed a restful interlude at home base in San Diego before going to the bluffs overlooking the Pacific Ocean. 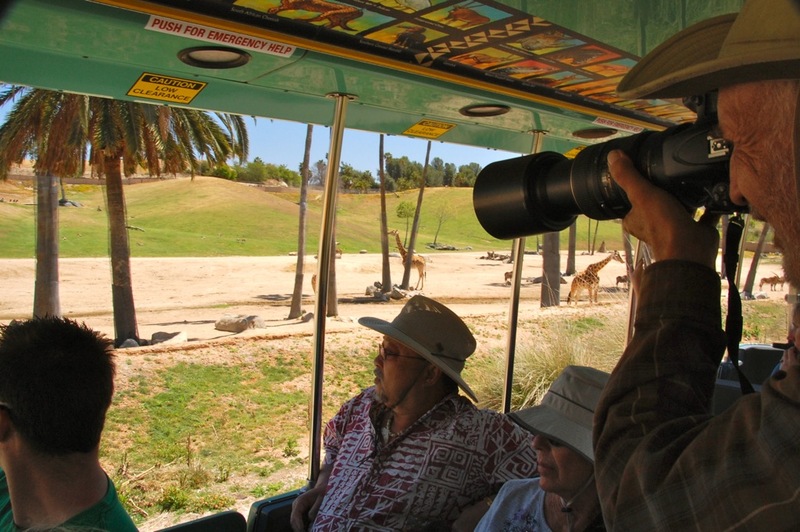 In the meantime, our Airstream friends, Bert and Janie, visited and we took them on a journey to the San Diego Zoo Safari Park. 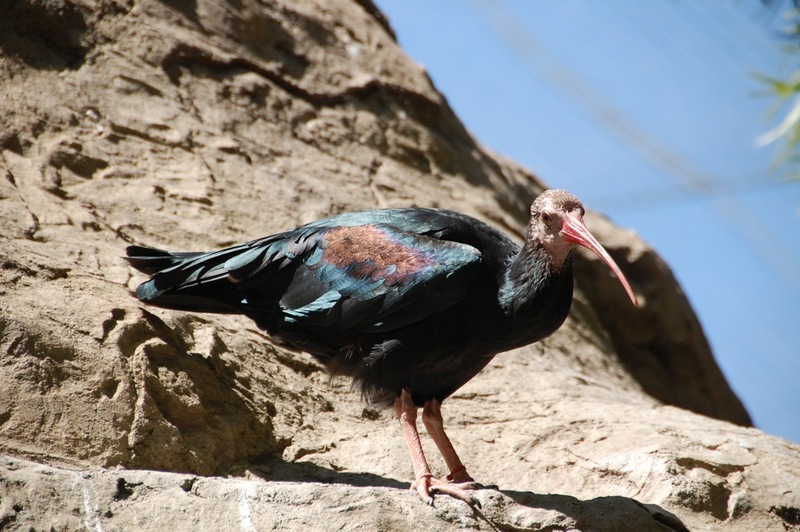 such as the Southern Bald Ibis, native to southern Africa. 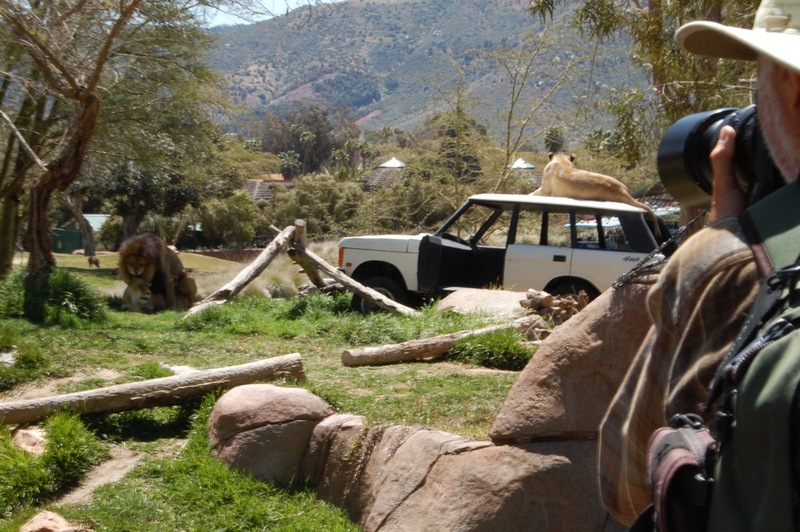 We continued on our safari and came upon a romantic lion interlude. 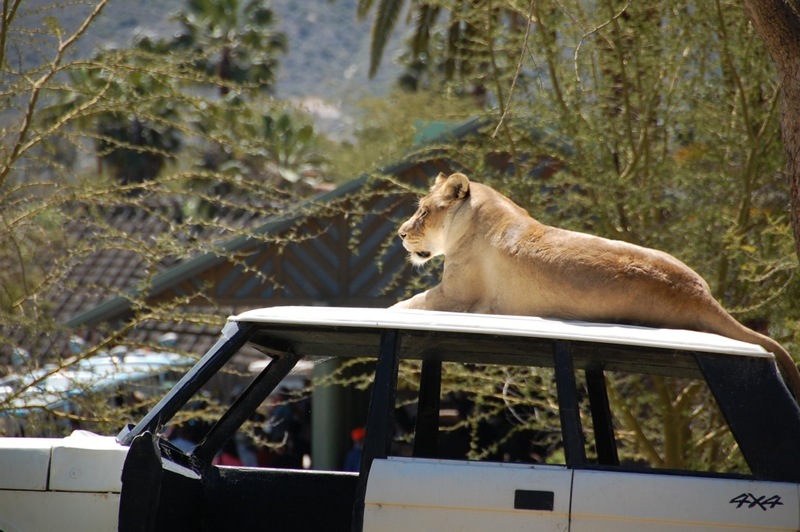 A nearby lioness basked contentedly in the sun and seemed satiated (perhaps after dining on the 4×4 driver). 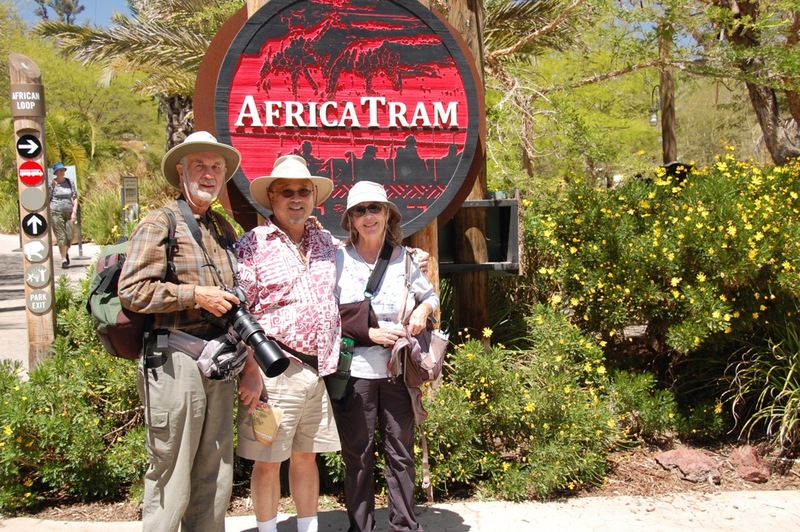 We took the Africa Tram for an overview of the largest exhibit, the open-range enclosure, covering 300 acres and presenting various plains habitats of Africa and Asia. 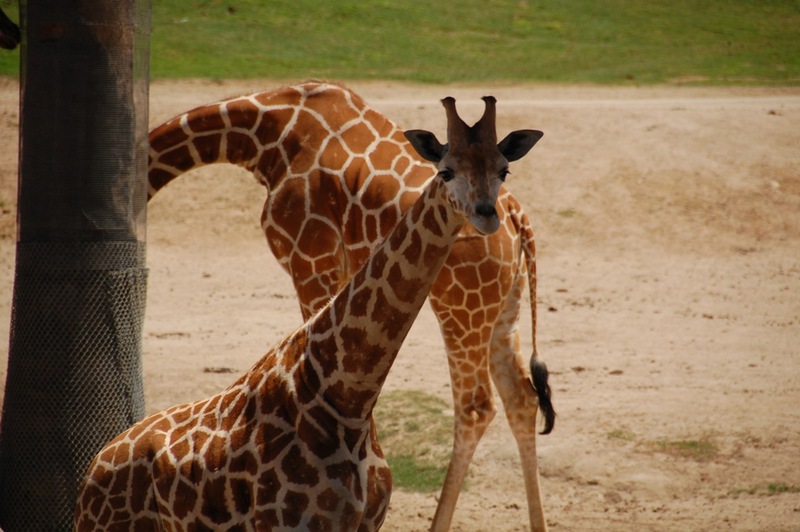 such as photographing the giraffe. 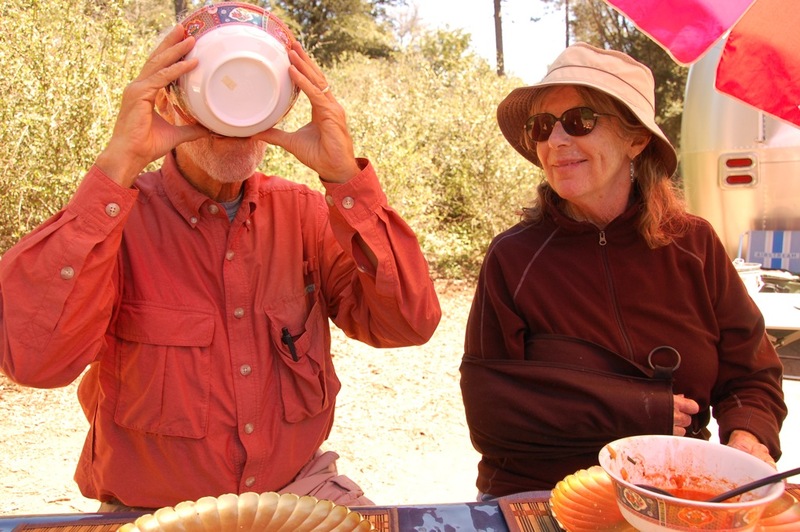 Janie and Larry rested after we got off the tram at Nairobi Station, while Bert and I hoofed it up to Condor Ridge. 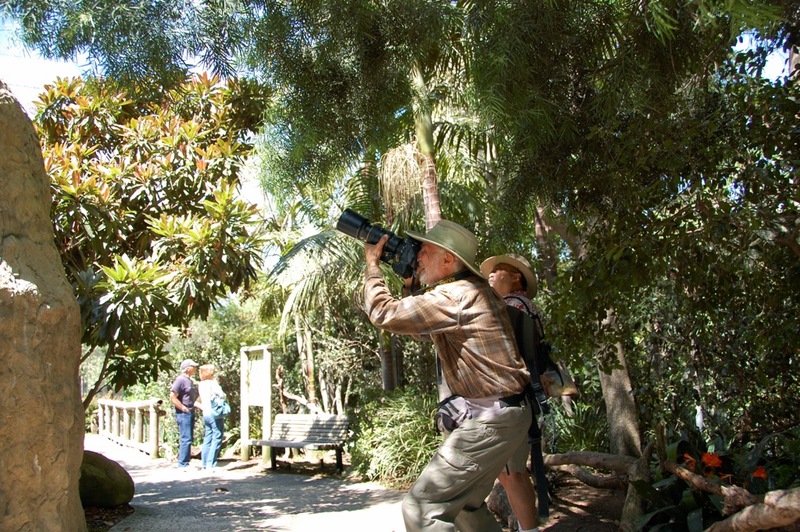 Photographing the California Condor through a mesh enclosure is difficult, but Bert reveals how it’s done in his post, “California Condor Milestone“. 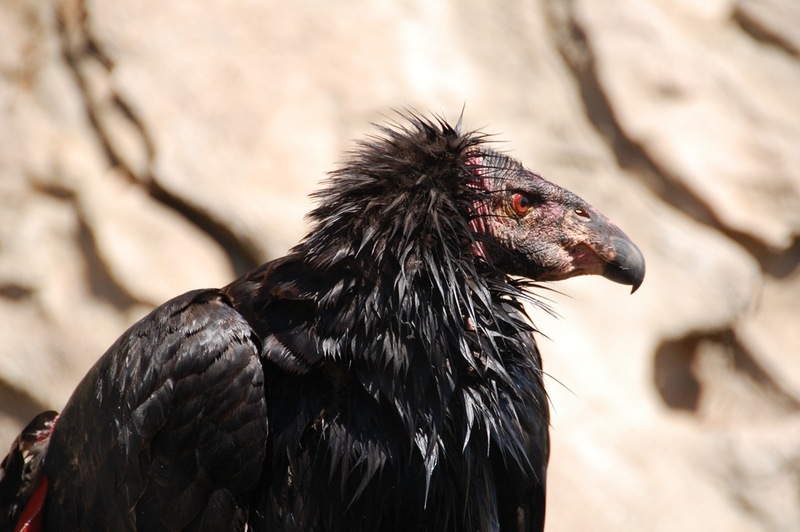 We are happy that the California Condor is escaping extinction due to breeding programs* at the San Diego Zoo Safari Park and the Los Angeles Zoo. While high winds roared through Southern California last Monday, causing power outages and damage in Borrego Springs and Anza-Borrego Desert State Park, and dust storms in Arizona,* we were hunkered down in our Airstream Safari 4,200 feet above sea level in a pine and oak forest along the northern extremity of the Cuyamaca Mountain Range on our first full day in William Heise County Park after a 3 year absence. By the following day, the wind and rain had stopped and we set up camp and enjoyed beautiful sunny weather the rest of the week. 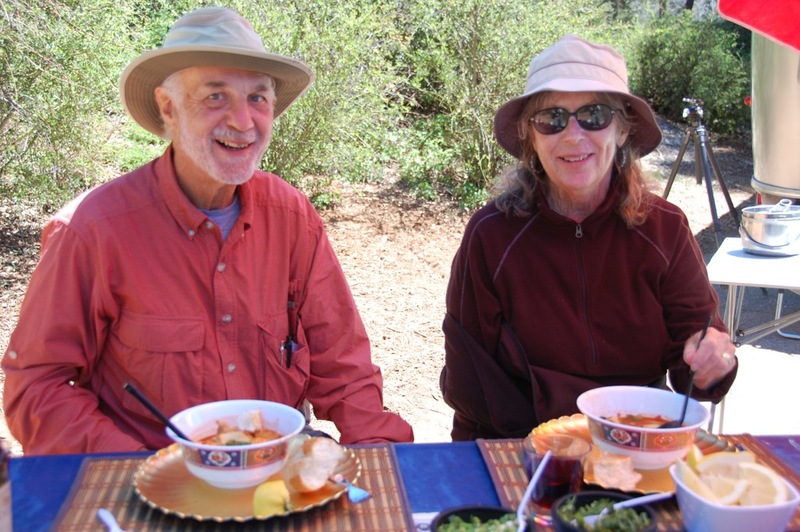 On Wednesday, our good friends Bert and Janie came up from Borrego Springs for a day of hiking, photography, feasting, conversing and having a good time. Bert brought along his new Nikon D800E. 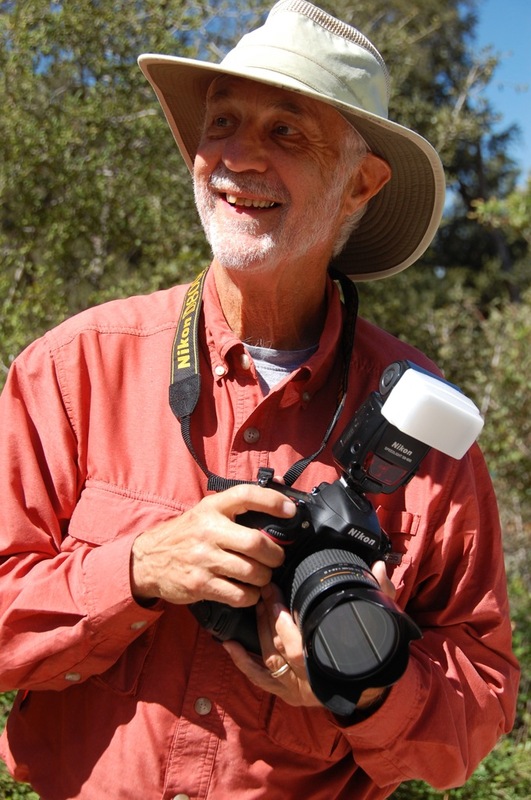 * Bert and I promptly took our Nikon cameras on a hike on the Cedar Creek Trail, while Janie and Larry enjoyed chatting at our campsite. 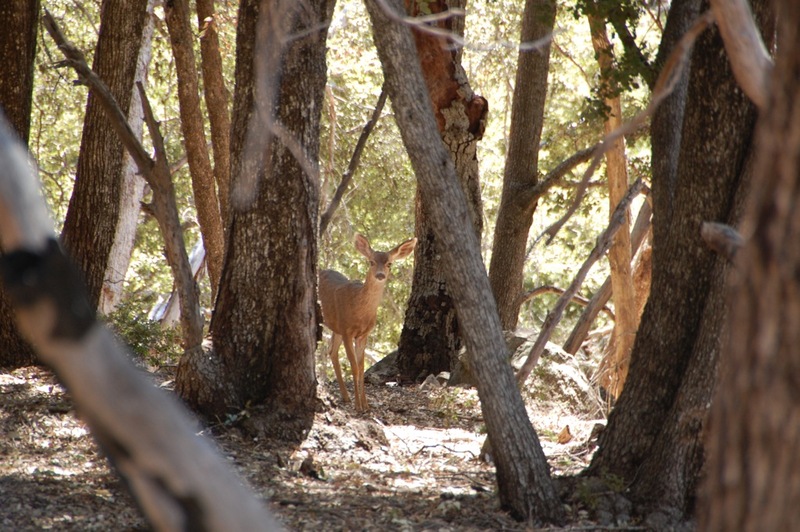 As soon as we got on the trail, we were happy to spot a couple of mule deer. We enjoyed photographing the rich textures of this oak, pine and cedar forest and delighted in the play of light and shadows. 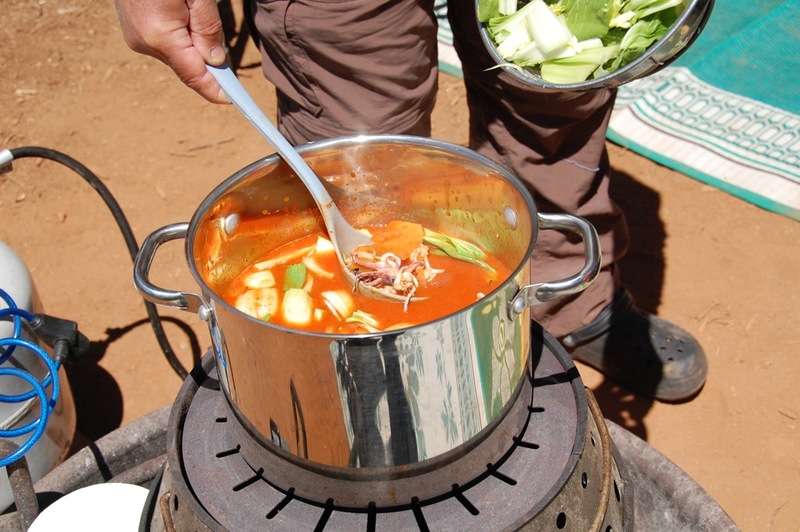 We returned to camp just in time for lunch that Larry was preparing: Caldo de Mariscos (based on a recipe by Chef Rick Bayless*), a medley of squid, catfish, shrimp, and baby Bok choy (Chinese cabbage) simmered in a tomato-based soup, seasoned with guajillo chilies. This savory dish brought smiles to all. We sipped on wine and shared our thoughts during this mellow afternoon. 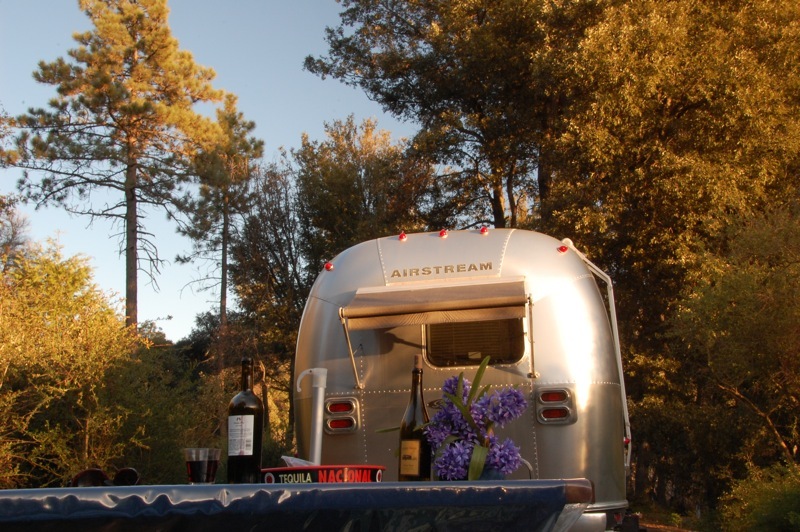 We celebrated our wonderful times together this camping season: at Agua Caliente County Park last October and then celebrating life with a lunch, hike and photo shoot in November. This truly was a mountain high* and we look forward to many more in the future!